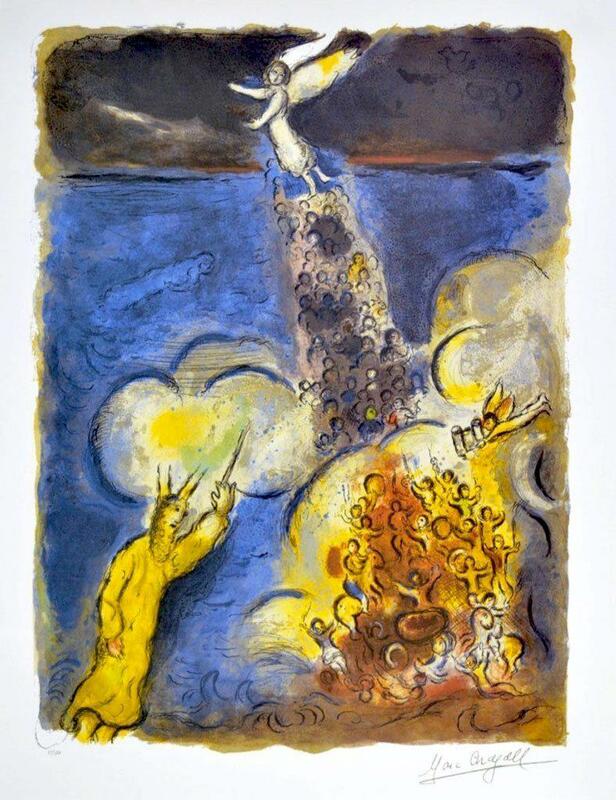 "Moses Calls Down The Water" photomechanical graphic art by Marc Chagall. Facsimile year 2004. Measures 19" x 24".